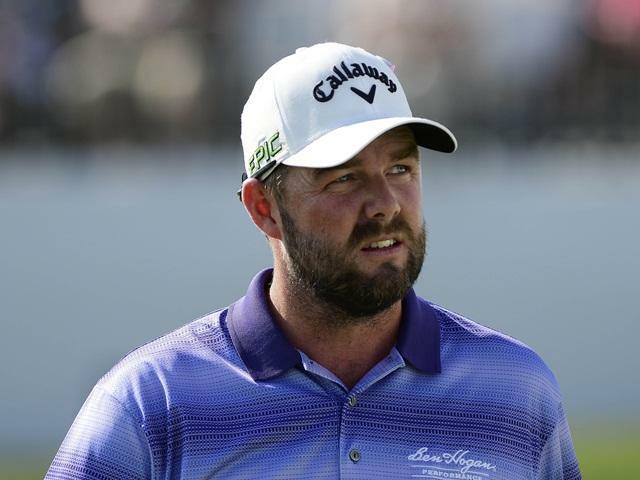 Marc Leishman - can he double up at East Lake? Tom Watson won the first edition of the Tour Championship in 1987, when it was known as the Nabisco Championship. Originally played in November, it was designed as a showcase event to round of the PGA Tour season with only the top-30 on the money list in attendance and the event saw its fair share of drama. The four editions that followed Watson' inaugural victory all went to a playoff and some stellar names are on the trophy but at the turn of the century, getting the very best in the world to turn up was proving difficult. Nobody could really blame the likes of Tiger Woods and Phil Mickelson for not turning up. The majors were all done and dusted and they felt it was wind down time but something had to be done as it was starting to look a bit farcical. Having an event to showcase the year's stars when the stars weren't willing to line-up was a problem that needed solving and so the FedEx Cup Playoff Series was born. First staged in 2007, the FedEx Cup Playoff Series consists of four events. The top-125 on the Fed-Ex Cup standings line-up in the first event of the series, The Northern Trust, and they're whittled down to 100 for the second event - the Dell Technologies Championship. After a week off to recuperate the top-70 in the standings then move on to the BMW Championship where we lose another 40 before the top-30 in the standings play for the FedEx Cup in this event. After the first two FedEx Cup Series' turned into damp squibs, with Tiger Woods in 2007 and VJ Singh in 2008 entering the Tour Championship with unassailable leads, the format was tweaked to make it more competitive. The scores are reset before the Tour Championship and if any of the top-five in the standings win this event, they'll also win the FedEx Cup. It's a little more complicated for those ranked 6-30 but they can still win the FedEx Cup if others above them perform poorly. It's more unlikely the further down the standings you begin the week though and Jason Dufner in 30th place needs all sorts of help from those above him. Here's a link to all the different scenarios of how each of the 30 can win the FedEx Cup. The changes made have had the desired effect and the last seven Tour Championship winners have also won the FedEx Cup. Initially a nomadic event, taking in such splendours as Pinehurst, Pebble Beach and Hilton Head, to name but three, the Tour Championship has found its permanent home at East Lake and that's been the venue since 2004. East Lake Golf Club, Atlanta, Georgia. Dating back to 1904, East Lake has been remodelled by some renowned architects over the years. In 1913 Donald Ross completely reworked the course and then George Cobb tinkered with the place before the 1963 Ryder Cup. The club was neglected after that though, when the majority of its members switched to nearby Atlanta Athletic Club, but it was restored once again in 1994 by Rees Jones and it's thrived ever since. In 2007, Zach Johnson shot the course record of 60 and Tiger Woods amassed an incredible 23 under-par total in the same year but it's been much tougher since, thanks to a change to the greens. With a move in the calendar to September, the committee chose to change the greens to Bermuda and the effect had been dramatic. The scoring has been much tougher but four of the last five winners have managed to get to double-figures under-par. The two nines were switched for last year's renewal meaning the tournament finished on a par five instead of a per three and that definitely helped to make a more dramatic finale. Live on Sky Sports all four days, starting on Thursday. What Will it Take to Win The Tour Championship? The winner, Rory McIlroy, ranked third for Driving Distance last year and two of the placed players ranked highly for DD too. Kevin Chappell, who along with Ryan Moore, lost out in extra time, ranked sixth for DD and Paul Casey in fourth ranked ninth. McIlroy only ranked 11th for Driving Accuracy and only one player in the top-seven ranked inside the top -ten for DA. Chappell ranked seventh. Last year's stats went against the norm as Driving Accuracy is usually far more important than Driving Distance at East Lake. The 2016 winner, Jordan Spieth, was the fifth winner in six years to rank outside the top-ten for DD and the odd man out, Bill Haas, only ranked ninth. Spieth ranked seventh for Driving Accuracy and he was sixth winner in seven years to rank inside the top-eight for that stat so straighter rather than longer is usually the prerequisite required but one stat that did hold up was Greens In Regulation. The first three ranked for GIR last year - Casey, McIlroy and Chappell - finished fourth, first and second and so Bill Haas (who ranked 11th in 2011) is the only winner in 17 renewals at East Lake to rank outside the top-ten for GIR and six of the last 12 to succeed here have ranked number one for GIR. Rory's Putting Average ranking was third and that was also fairly typical given eight of the last 12 winners have ranked first, second or third. Now that this venue and Sedgefield Country Club, home of the Wyndham, both have Bermuda greens, form at the two events should crossover very nicely and that's been the case over the last couple of years. The 2015 winner, Jordan Spieth, was been beaten in a playoff at the Wyndham, Webb Simpson, who finished fourth in 2013, is a former winner of the event and Justin Rose, who has recent form figures reading 2-6-4-2 in this event has lots of Donald Ross form, including a fifth-place finish at the Wyndham and a win in the AT & T National at Aronimink. In 2012, three of the first five home here had all previously won the Wyndham and Luke Donald, who finished third, finished runner-up in the Wyndham last year. This year's Wyndham winner, Henrik Stenson, won here in 2013 and to cement the correlation even further - check out the result of the 2015 renewal of the Wyndham Championship... The 2008 Tour Championship winner, Camilo Villegas, beat the 2011 winner, Bill Haas, with the 2012 winner, Brandt Snedeker, back in a tie for 5th! Strong current form really has been the key here. As already stated, the last seven winners of the Tour Championship have also won the FedEx Cup and four of the last five winners all began the week inside the top-five in the standings. Rory was the odd one out last year but he only ranked sixth! In each of the last five years, and on eight occasions in total, someone has won two FedEx Cup Playoff events - a big plus for Dustin Johnson, Justin Thomas and last week's winner, Marc Leishman - although maybe not so much for DJ because as yet, nobody has won the first and fourth events. McIlroy (last year) and Stenson (2013) have won the Dell and this tournament, and Tiger Woods (2007), Villegas (2008) and Billy Horschel (2014) have all won the last two events - last week's BMW and this. And DJ perhaps should have done so too given he was matched at low of [1.41] during round three having won the BMW. Tiger Woods is still the only man to win the FedEx Cup twice. Two of the three playoff protagonists last year, McIlroy and Moore, were both five adrift at halfway and still two back with a round to go, while the other man to feature in extra time, Chappell, was on the premises throughout, having led after the opening round and that pretty much sums up East Lake. Some win from the front, some come from behind and there's no real bias either way. Phil Mickelson was seven back and in 26th place after an opening round of 73 before going on to win in 2009 and like McIlroy and Moore, the 2012 winner, Snedeker, and the 2008 champ, Villegas, he was five adrift at the halfway stage. Bill Haas was three off the lead with a round to go in 2011, Lefty was still four back, and Villegas made up a five stroke deficit in the final round before beating Sergio Garcia in a playoff so we can't describe East Lake as a frontrunners track. As already mentioned, they flipped the two nines last year and whether that was a contributory factor or not I don't know but we had plenty of drama and the in-play layers had a field day. After DJ had been matched at long odds-on on Saturday, Chappell hit a low of [1.2] in regulation on Sunday and Moore was matched at [1.6] in extra time. Jordan Spieth ranks number one in the standings, despite not winning any of the first three playoff events. He traded odds-on in the first two before going on to finish runner-up but he was never at the races at Conway Farms last week. He opened and closed the event with six-under-par 66s but his driving and putting was ragged all week and victory never ever looked likely. Spieth's a course winner here and a runner-up at Sedgefield but having not won one of the first three playoff events is a negative according to the stats and last week's play wasn't encouraging. That said, he's the rightful favourite and more than capable of a bounce-back at a venue that clearly suits. In addition to his win here two years ago, he finished runner-up on debut in 2013. Northern Trust winner, Dustin Johnson, went off the boil after the opening round of the Dell Technologies but yesterday's seven-under-par 64 to finish the BMW was eye-catching enough. As already stated, he traded odds-on last year before falling away in round four but with course form figures reading 27-22-23-10-5-5-6, he has plenty of solid East Lake experience. He'd be the first to win the first and fourth playoff events but the fact that he's yet to win the FedEx Cup has to be deemed a positive given only Tiger has won it twice. If ever a round summed up Rickie Fowler it was yesterday's. A pair of birdies at the first two holes saw him get to within touching distance of the eventual winner, Leishman, before 10 pars preceded a chance crushing bogey. With all hope of victory extinguished, he birdied the next three holes to add an air of respectability to the card and to see him finish second but the bottom line is, he's very frustrating to back and he just doesn't win enough to be going off at the sort of prices he does. His course form is ordinary, reading 23-8-12 and of all the market leaders, he's by far the easiest to dismiss at no better than 10/1. Justin Thomas finished sixth last year on debut and if he can bounce-back after last week's disappointing effort at Conway Farms, where he finished tied for 47th, he's bound to feature given his form prior to that. He bids to emulate Rory last year and Stenson in 2013 by doubling up after victory at the Dell Technologies but his driving stats are a concern. He missed half the fairways he aimed at last week and a similar performance here will render his chances slim to zero. And that wasn't a one off - he hasn't hit more than 60% since the US Open in June. Marc Leishman could only finish 28th on his only previous appearance at East Lake - back in 2009 - but I'm happy to ignore that given the positive stats for BMW winners and given how well he's playing. Villegas had form figures reading 21-3-1 before doubling up here in 2008 and Horschel's read MC-2-1 in 2014. Leishman's read MC-3-1 and he has a similar profile to the other too as well. None of the three can be described as prolific but it's perfectly possible that Leishman can give it one last push and replicate Villegas and Horschel. Leisman's Sedgefield form is old but respectable. Between 2009 and 2011 he finished 17th, 18th and 30th and Justin Rose comments when interviewed after the BMW Championship yesterday interested me. Rose, who has a great record here, told Sky's Nick Dougherty that he often finds himself in-the-mix at the same events as Leishman as they both have similar games so what's good for Justin could well be good for Marc. Leishman's Driving Accuracy figures are a slight concern but in his last two starts he's ranked second and fifth for GIR and fourth and second for Putting Average so he really is playing the best golf of his career. I have fond memories of collecting on Horschel three years ago at 20/1 and Leishman looks well worth chancing at a slightly bigger price. I'll be back tomorrow with my Portugal Masters preview.